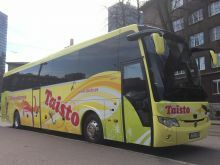 Taisto Bussid is one of the biggest bus rental companies in Estonia. 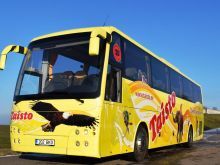 There are 30 coaches in our buspark. 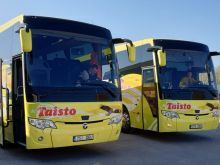 All coaches have modern equipment, that makes comfortable even long trips through Europe. Enjoy hot coffee, watch films, take a nap – and let our proffessional drivers take you to far-away places! 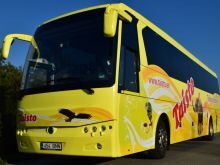 We are happy to announce, that we offer catering service in our buses. See more here!